The Sirchester sofa by Deepdesign has been designed for both indoors and outdoors. It is comfortable and highly functional while retaining the atmosphere and style of the Chester. 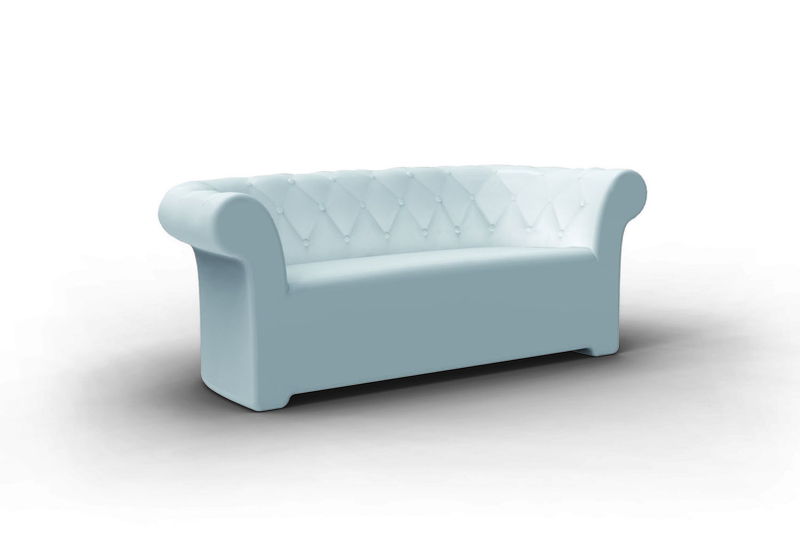 The characteristic shape and size of the sofa has utilised the companyâ€™s creative and technical skill, enabling it to keep the same distinctive particularities found in the original English sofa, such as the padded quilted backrest. The Sirchester is the first sofa that can be illuminated, creating a fun atmosphere for public places, while retaining its function and comfort. Equipped with a water drainage system.Equipped with a water drainage system.